There continue to be reports of new attempts to create life, sometimes labeled “synthetic” or “artificial” because the entity is not created the old-fashioned way, i.e., by fertilization of an egg with a sperm. The most recent report involved combining two different types of stem cells to form an embryo-like structure that was labeled “artificial.” But is the manner in which a life begins the most important factor in how we regard that life? If a life is created using artificial or non-natural means, is that life really synthetic? Or rather, once a life is created, is that life like any other? The labels we put on things not only identify them but also give them value. So if we label a life as “artificial,” is this also a way to devalue that life? Labels are indeed important. At one point during the debates on embryonic stem cell derivation and use, some scientists proposed changing the term “embryo” to distance themselves from the reality that embryonic stem cells come from destruction of a young human embryo. But redefining a biological entity does not redefine the truth, that young lives are destroyed in the process of these experiments. 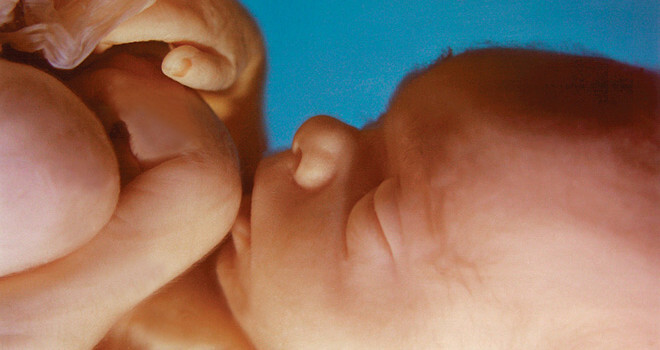 When it comes to the earliest stage of life—the embryo—the standard definition of an embryo is: “In humans, the developing organism from the time of fertilization until the end of the eighth week of gestation, when it is called a fetus.” This definition defines a starting point and mechanism of creation, but is mostly directed toward labeling a relevant time frame for a stage of development. But it does indicate that this includes even the very earliest stage: the single-cell embryo or zygote. Everyone has a beginning. But the definition precludes other, technological methods for creating an embryo. For example, cloning (somatic cell nuclear transfer, SCNT), defined by NIH as: “A technique that combines an enucleated egg and the nucleus of a somatic cell to make an embryo.” Some have argued that, because there is no sperm involved in this cloning process, this cannot be an embryo. Though this form of cloning is indeed artificial, not found in nature, it yet produces an embryo, a fact recognized by authoritative bodies and common sense. Dolly the cloned sheep was first, after all, a sheep embryo, subsequently gestated and birthed. But she looked like, smelled like and was in every way a real sheep, not artificial. Some have tried to define an embryo by its location, i.e., if he or she is not implanted in a uterus, it is not an embryo. In this manner, IVF embryos were discounted as artificial lives if they were still in the lab dish or the clinic freezer, and their value was as experimental fodder. But this geographic definition of life is simply an attempt to justify embryo-destructive research. This is like saying that if a human being was reared, even briefly, in an “artificial womb,” that they would be an artificial person. Other attempts to define a life, and the value of a life, have focused on amount of chromosomes and DNA, or the likelihood of survival to some predetermined endpoint. People with Down syndrome continue to experience bias and are selected against even in the womb, though even a casual observer would note that the possession of an extra chromosome seems to endow individuals with more love for fellow human beings. And while “viability”, i.e., able to survive and continue to develop for a certain period of time or to reach a certain endpoint, has been used to determine the worth of many individuals, this too is a risky method of defining life and value. Such a definition of the value of an individual life ignores the fact that all human life has a 100 percent mortality rate. So what about the so-called “artificial” life created by the British scientists? The technique combined mouse embryonic stem cells with mouse trophoblast stem cells; the two cell types (normally found in early embryos) self-assembled to form embryos with structures and subsequent developmental growth like that seen in normal embryos. The constructed mouse embryos may be defective in some cell types needed for later development, but correction of that deficit only implies adding other cell types to the initial construct. Though artificially constructed, they are not artificial organisms. And while much more work would be needed to create human embryos using this technique, the newly constructed organisms would be real human beings. A similar technique called “tetraploid complementation,” which combines pluripotent stem cells (which create the embryonic body) with a second cell type that can generate a trophoblast and placenta, has been used since 1990 to create new mouse embryos from cellular components (without egg and sperm) and gestate the embryos to birth. It has also been used for genetic engineering to create mutant mouse strains. The new technique and other methods developed for creation of embryo-like entities has led to a call to redefine what counts as a human embryo, based primarily on construction of “morally concerning features,” but this seems to be another way to extend, rather than prohibit, research on human embryos. There is little reassurance that scientists will show restraint. Human beings, no matter their age or manner of creation, are not merely raw material and should never be considered fodder for such experiments. Rather, we would be safer to give the benefit of the doubt to any entity that resembles a human embryo. Redefining some human beings as “artificial” or “laboratory constructs” is the first step toward a form of dehumanization that undermines both the character of those who are experimented upon and the society that permits the experiments.